Protect your iPhone XS while you shoot with the Moment Photo Case in tan leather. 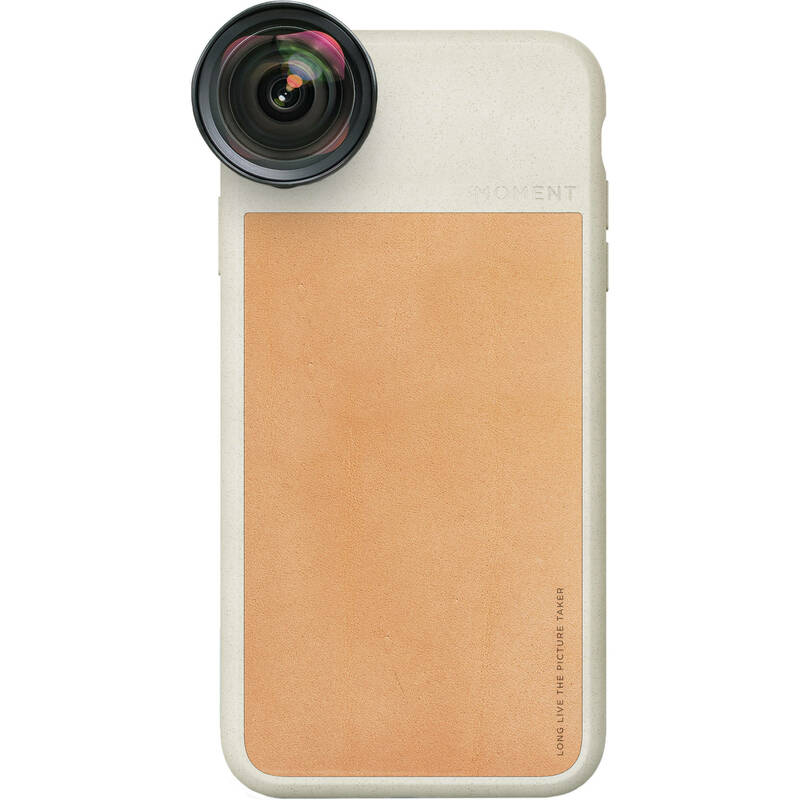 This case comes with the Moment lens interface built in, so you can use the current generation of Moment lenses with your device. The thin, lightweight case has a rubberized body and rounded edges to keep your device safe from scratches and bumps, and is suitable for photography with the lens removed. A wrist strap attachment on the bottom gives you another carrying option. Box Dimensions (LxWxH) 7.1 x 3.8 x 0.7"
Photo Case for the iPhone XS (Tan Leather) is rated 3.0 out of 5 by 1. Rated 3 out of 5 by Allison from Meh Not quite as sleek and modern as I had hoped. Also, the leather scratches easily, attracts oil from hands, and looks worn. After one week, it looks like Ive had this case on my phone for over a year.